A mountain rescue team volunteer has lost £2,500 of equipment along with his campervan in a theft. 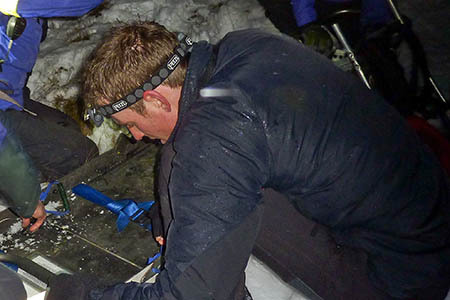 James Burt of the Border Search and Rescue Unit had his personal mountaineering gear stolen in the incident, along with a team radio and other specialised equipment. Among the items that disappeared was a brand-new team jacket bought after a fundraising campaign. 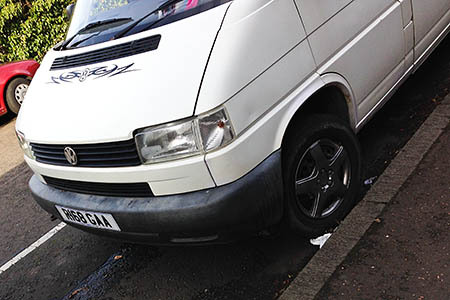 The gear was kept in the VW Transporter van outside his Edinburgh home so he could respond immediately to callouts. He was planning to use the van for a family holiday. Team spokesman Damon Rodwell said: “It’s mercifully rare for this sort of thing to happen. There have been a few recent instances of theft from team-members down south, but this is the first time in memory that equipment has been stolen from a BSARU member. “It’s particularly galling coming at a time when the team has had some very significant financial outgoings including the replacement of a Land Rover and a £5,500 bill for new team jackets. Anyone who has information on the fate of the campervan, a white VW Transporter, registration number R168 GAA, or any of the stolen equipment, or who would like to contribute towards kit replacement is asked to get in touch in confidence with the team by email. Kelso-based Border SAR covers the South-East of Scotland, including he Lammermuir and Cheviot ranges. pass the gear on, even better they might get caught.